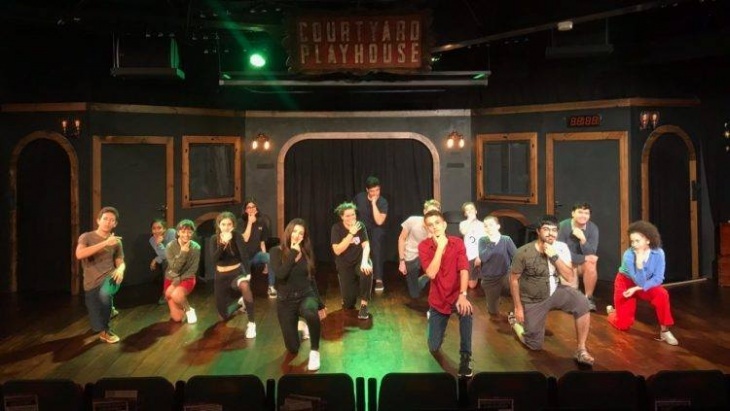 Once a month The Courtyard Playhouse hosts a free “Jam Session” for teens. This is a great opportunity to find out more about Improv Theatre. It is equally beneficial to old hands who want to drop in, revisiting and testing techniques already learned. Join a growing community of improvisors and make new friends. After the Jam session, we invite all attendees to stay and watch or volunteer for our Monday night “Meet the Parent” starting at 8pm. If you want to know more please email young@courtyardplayhouse.com or simply confirm your attendance by RSVP’ing.